I love making soups for lunches in the winter. Its a great way to warm our bodies and house and there is so much room for creativity and nutrients! 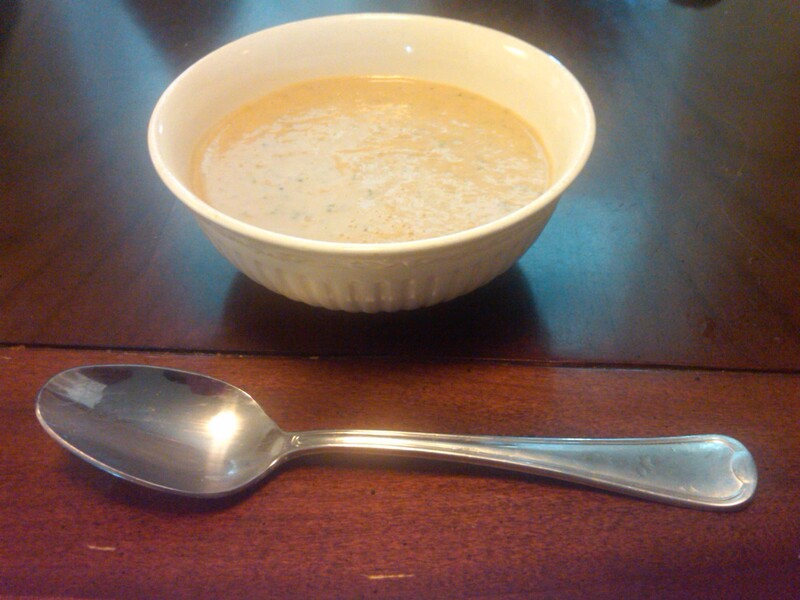 In the summer, cold soups can be just as enjoyable! Try this refreshingly healthy and light creamy tomato soup from Alive in 5 by Angela Elliott. 1 tsp curry powder (I forgot this one and it still tasted great. If it’s too many flavors for your child or you can’t get the texture smooth enough, try without the fresh herbs. That is what I did with Jack. He was hungry and didn’t want to wait on me to go out to the garden and he loved it – ate 2 bowls! I added the herbs for my husband and I. The book says it makes 3 servings but mine made a little more. I will definitely make this one again!